We carry both the Ready Accessories WF51569C and the Frigidaire WF2CB for the filter model WF2CB. The original Frigidiare WF2CB was tested by NSF/ANSI International to ensure public safety and health. Frigidaire's WF2CB met both International Standards 42 and 53. Such a high grading ensures the customer's filter will help reduce potentially harmful contaminants such as turbidity, cysts, rust, and chlorine. The Ready Accessories filter is a comparable filter to the WF2CB but is less expensive and doesn't have the certifications the original filter has. 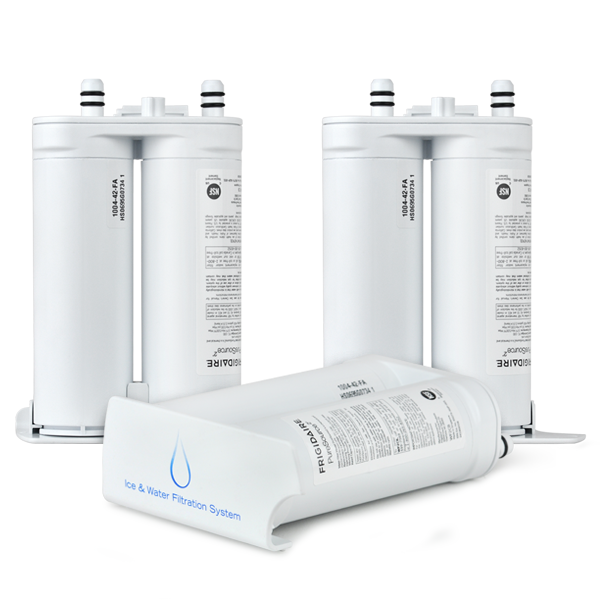 It is important to remember to change your filter at least once every six months to ensure a high performance in water filtration and dispense rate. Filters will not necessarily function efficiently if they are not properly maintained, leaving open the possibility of letting harmful contaminants into your water. Push the new filter straight into the filter receiver until you hear a double "click"
69 compatible alternative filter models below. Marvel at the specifications of our WF2CB compatible filters. The Frigidaire WF2CB original OEM water filter's flexibility in its usage across the industry makes it an attractive product to consumers. Customers can look forward to utilization of this product in either their Electrolux, Frigidaire, Kenmore Pure Advantage, or PureSource2 Ice Water Filtration Systems. The factory original OEM product was put through serious testing by NSF/ANSI International. NSF/ANSI is a public organization dedicated to product testing for both public and environmental health. The WF2CB water filter ended up passing International testing with certifications for Standard 42 and Standard 53. These passing grades mean consumer safety from turbidity, chlorine, rust, cysts, and other potentially harmful impurities found in your water supply. 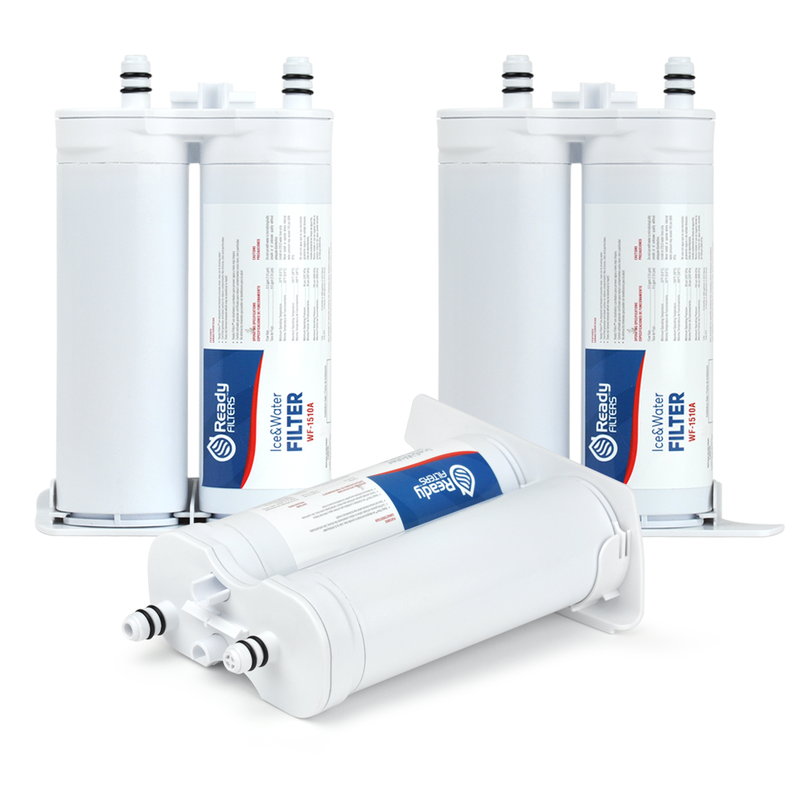 We also carry an aftermarket filter called the Ready Filters WF-1510A which is just as effective as the Frigidaire filter but as a less expensive price. We highly recommend the aftermarket WF-1510A filter since it filters out the same impurities as the original and it's more affordable. In order to retain the highest level of water filtration performance, filters should be changed once every six months. I used to buy my filters at the near by store but they stopped carrying them. They are cheaper on this site, they arrived quickly and are the exact brand that I need. The filters arrived in a few days and appear to be the exact same filter I purchased from the dealer; however, the cost per filter was 13% less and with free shipping!